Premiere Fullerton Bail Bonds will help with all your bonding needs. We have been in business over12 years with a focus on Orange County. We are available 24 hours 7 days a week for your convenience. At Premiere Bail Bonds of Fullerton we provide you with the professional expertise you need at a time like this. All of our agents have gone through business training programs specializing in customer service skills. We demand satisfaction for our clients. Our business is in Orange County with Fullerton being one our main areas. We have built our business mostly on word of mouth. This means we do not have expensive ads and high overhead which allows us to pass the savings along to our clients. Much of our business comes from criminal defense attorneys. If we did not meet their standards or requirements they would not refer their clients to us. We will go the extra mile for you even if it means waiting for the defendant to get released and driving them home. Many of our clients are able to post bail by phone or fax. This allows you to go about your day while we take care of the rest. Need a 1275 Bail Hold lifted? Contact us 24/7. The Fullerton Police Department is located at 237 W. Commonwealth. Typically it will take an hour or two for the Jail to process and book an inmate. After a bail bond is received by the jail the defendant will be released within 10 minutes. When the jail gets overcrowded inmates will be transferred to the Orange County Jail. For an Orange County bail bond please call us 24 hours 7 days a week. If you need information regarding a person in custody at the Fullerton Police Department or anywhere in Orange County call 24 hours at 1-800-662-0056. A local Fullerton bail agent will answer your call and any questions you have. If it happens that the inmate is transferred to OCJ and you now need a Santa Ana bail bond we can assist with that as well. Sometimes… bad things happen to good people. If a loved one or friend is in Fullerton Jail act quickly and give us a call at 800-662-0056. We have Agents standing by to answer all your questions and we can start the bail process 24/7/365. 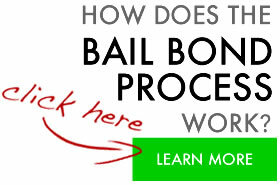 Premiere Bail Bonds is here to help any way we can!